Wow, that must have been bad! But I am glad you survived and came back to tell the story. We had similar experience with our two boys last time we were in Egypt. Those bugs are nasty! On the other hand, I am a quite envious about the trip! 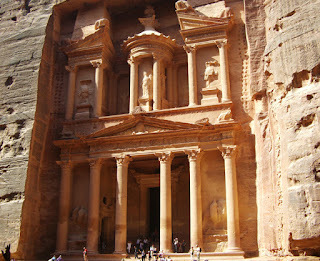 Petra has always been on the top of my travel wish list. Resurrection Wow, that must have been bad! But I am glad you survived and came back to tell the story. We had similar experience with our two boys last time we were in Egypt. Those bugs are nasty!